Online surveys can be both overused and underused. On the one hand, many don’t take the opportunity to gather feedback when the timing would be best. On the other hand, people who are asked to respond to surveys too often suffer survey fatigue and refuse to participate in yet one more survey. However, when the timing and method is right, respondents are happy to participate and you’re able to get the responses you need to help make decisions. So, when are the best times to send out a survey? The first situation where you want to invite a response as soon as possible is directly after a purchase has been made. The purchase experience is fresh in the mind of the customer, which means they are best able to give their feedback. This also means you want to ask them in a way that is easiest for them to respond immediately. This could mean anything from using an iBeacon to send a survey invitation to their mobile device as they leave the store, using a kiosk on their way out to invite input, sending an email invitation as soon as they finished their transaction, or inviting them to take the survey by using a QR code either on their receipt on somewhere prominent on their way out of the store to take them directly to the survey for a response. The next situation for gathering an immediate response is after an event. With the experience fresh in their memories, an email invitation to attendees directly after the event gives them the opportunity to provide feedback. This could also be done using a QR code on the program, on an attendee’s badge, on a poster seen on the way out, or on a ticket stub. In these cases, you want to send the invitation as soon as possible to get the respondents’ attention. You should wait no longer than a day to invite the respondent to participate. For stores such as grocery stores, you may want to invite responses after every few visits rather than after every visit. For other retail stores, however, you might consider inviting a response after every transaction, adjusting as needed for high traffic times when customers might be coming back more often, such as during holiday seasons. When you’re at an event or trade show, you can use surveys to collect lead information from attendees. Using a mobile survey app like the QuestionPro mobile app can allow you to use a tablet to get information about attendees, including their level of interest in your product or service. This information can then be used for targeted marketing campaigns after the event or trade show. For websites, asking about the experience while a respondent is still on your website can also be telling. Are visitors finding that they need, or are they having troubles finding information? This could trigger a conversation with a support team member, a targeted coupon to use before they leave the site, and information that can help you make the experience on your website better in the future. Do you have customers that frequently return to your store? Do you have a community of users that regularly engage with you on social media channels? Instead of asking for these people to respond to a survey after every transaction, asking for participation in a quarterly or semi-annual survey can give you more information about their longer-term relationship with you and your brand. This is an opportunity to have a longer, more in-depth survey that is open for a week or two and that you invite respondents to take via email or via your social media channels. Rather than ask questions about an isolated experience, this survey can focus on trends and their overall opinion of their experiences with you. You can use surveys as part of your content marketing efforts. Gathering information from online respondents can help you create infographics or offer useful insights about your industry. Depending on what type of business you run, offering content with actual numbers and research can really get you noticed. 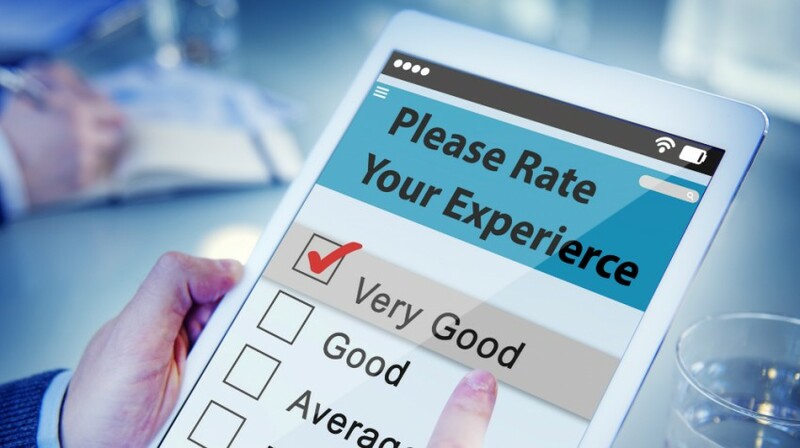 Doing this type of survey before an event or experience can give you — and the respondents or attendees — highly relevant and timely information. You can also use surveys as part of product or idea testing. Do you have a product concept, but you aren’t sure how it will land with your customers? Invite a small group to participate in a product test where they can give feedback on everything from packaging to product specifics. The same is true for Web redesigns and even marketing campaign concepts. Whether you’re sending out a regular customer satisfaction survey or developing a template for new product surveys, you should test your questions first. So before you release your survey publicly or start sending it out to all of your new customers, you need to make sure it’s going to get you the results you’re looking for. If, for instance, you’re trying to measure interest in a potential new feature, you have to explain the feature in a way that makes sense to customers. If it’s confusing to them, the feedback won’t be helpful. Testing can help you be sure that content is relevant, the wording makes sense, and that you’re getting the information you’re hoping to collect. I agree. It seems that most businesses think that they can implement surveys in just about any topic. But you can really get the most out of it if it tackles a particular experience.